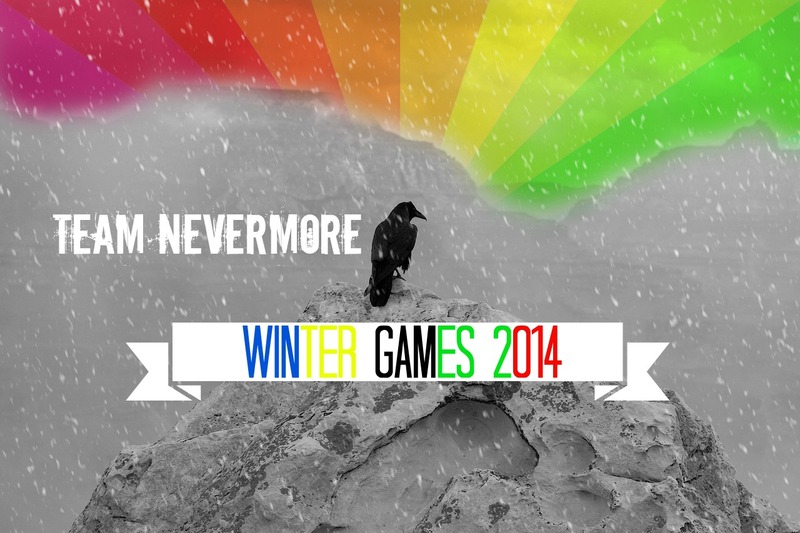 What are the Nevermore Winter Games? A chance to challenge ourselves to create more knitted, crocheted, handspun, woven, and felted projects in a community atmosphere. We will have various “events” that competitors can participate in together – but the real competition is against ourselves, to push ourselves to greater heights of creativity and production. The main point? To make beautiful things, together, as a community. During the Closing Ceremonies on February 23rd.I am sure we’ll have another online party! What can we make? How do we play? There will be a list of events to participate in! They will cover a variety of skills and levels, and should be both fun and challenging. Please feel free to try in any or all events, as you feel able. One project per event, please. To participate in an event, you will declare your entry when the event is announced, and post photos as you “cross the finish line.” Many events are multi-skill [knitting, crochet, spinning, etc] so your project may cross the line with something entirely different. That’s okay! Prizes will be awarded for all Events during our Closing Ceremonies. All prizes will be awarded with the help of the Random Number Generator, for the most fair Games. This means that anyone who plays could win! All prizes are awarded from members of the group, so this is truly a Community affair. Figure Skating ~ Time to wow us with some grace and elegance while showcasing your skills. You pick the medium, knitting, weaving, crochet, felting, etc and create an item that scores a perfect 10! Snowboarding ~ Rad style and crazy personalities! Here’s your chance to get FUNKY. Once again you can pick your method of construction, but get crazy. Loud colors, wild textures and individuality are what it’s all about! Biathlon ~ Just like being able to ski and shoot, we know many of you possess multiple skills. In this event we want you to spin some yarn, and then create something with that yarn. Photos of your beginning fiber, spun yarn and final item required! A challenging event that we have no doubt will be a stunner with our talented fiber athletes! Halfpipe Skiing ~ A brand new event this year, so what better time to try out something brand new yourself? In this event we ask you to try a technique you haven’t tried before and submit your results. Air time, tricks and individuality are what it’s all about. Perfection not required, the pursuit of expanding your game is the goal!! Freestyle ~ Winter Games it is and Winter is the keyword here. Unleash your creativity on something that just screams WINTER. Freestyle means that’s completely up to your interpretation. Whether it be the color, the texture or the item itself. Show us what winter means to you!! Ice Dancing ~ This event is all about perfect pairs working together to create something beautiful. Your choice of medium once again but you must use 2 different yarns that harmonize into one amazing item! PRIZES ARE TBA – wait until you see the things you could win for your hard work, ooooh! Please feel free to use all images on your blog, Facebook, etc.